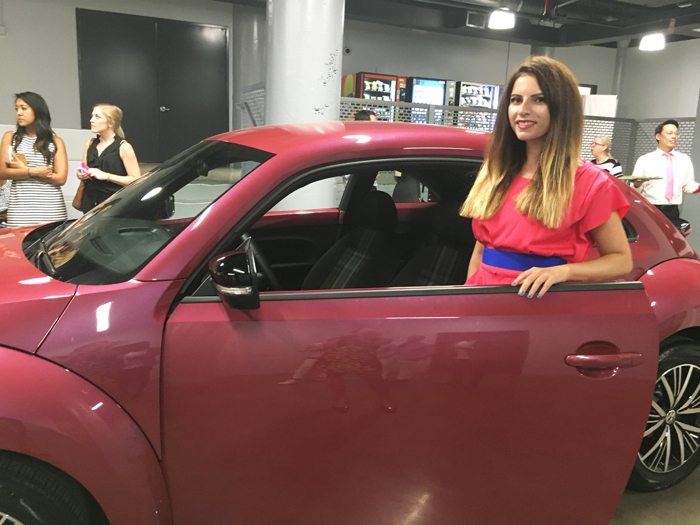 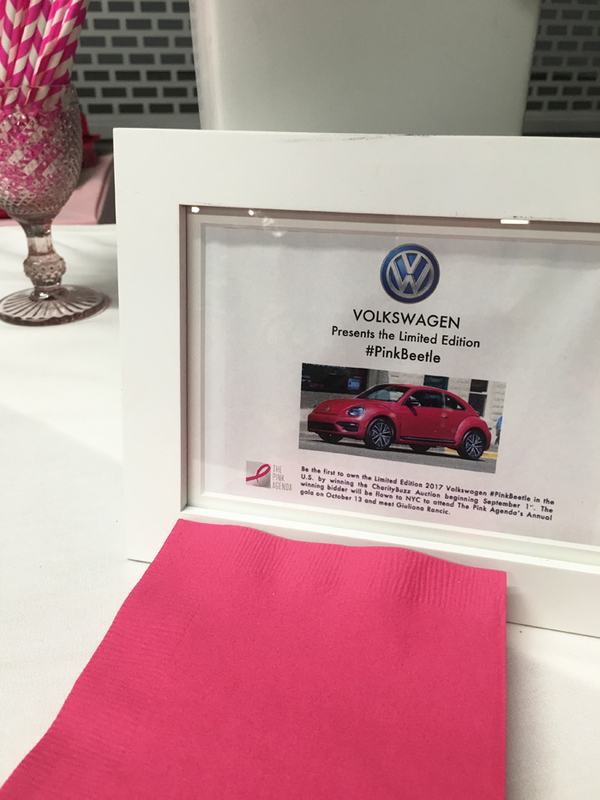 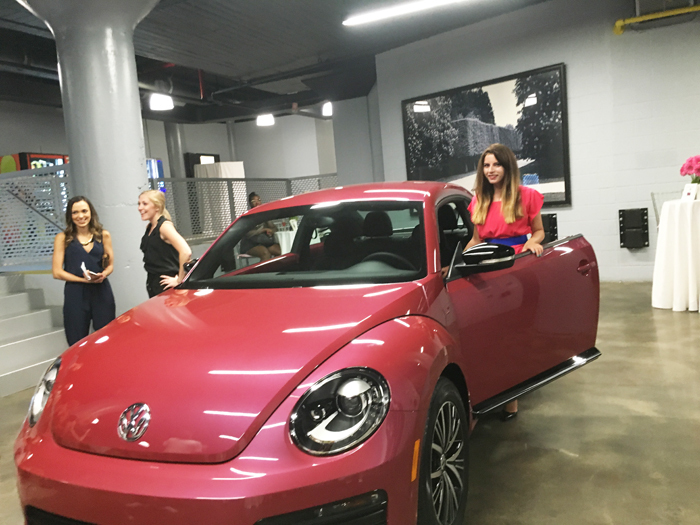 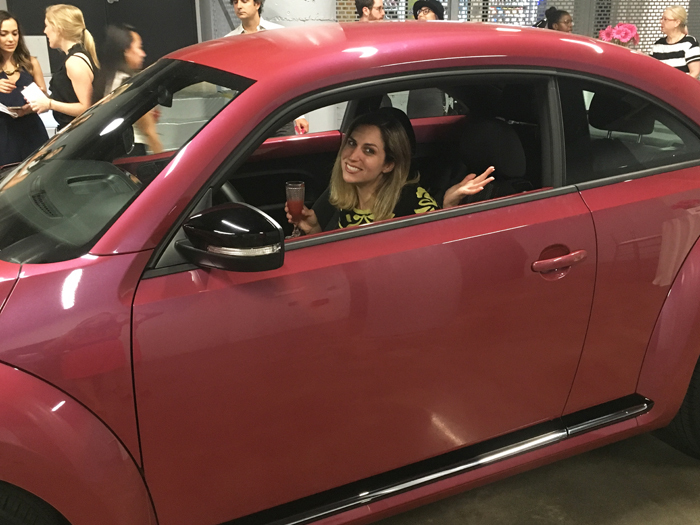 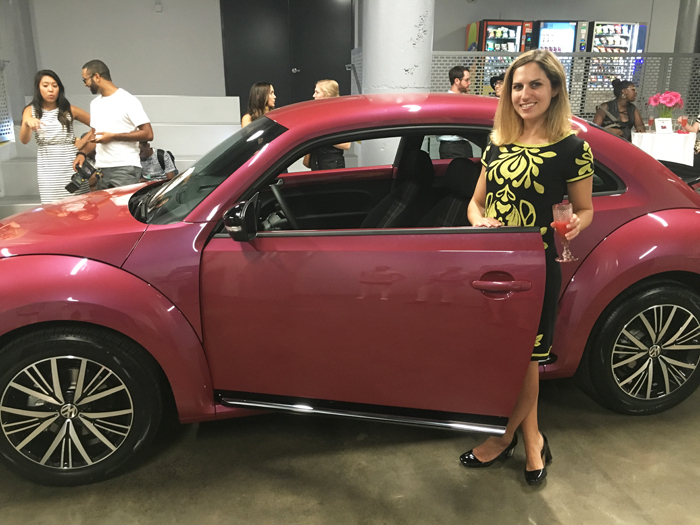 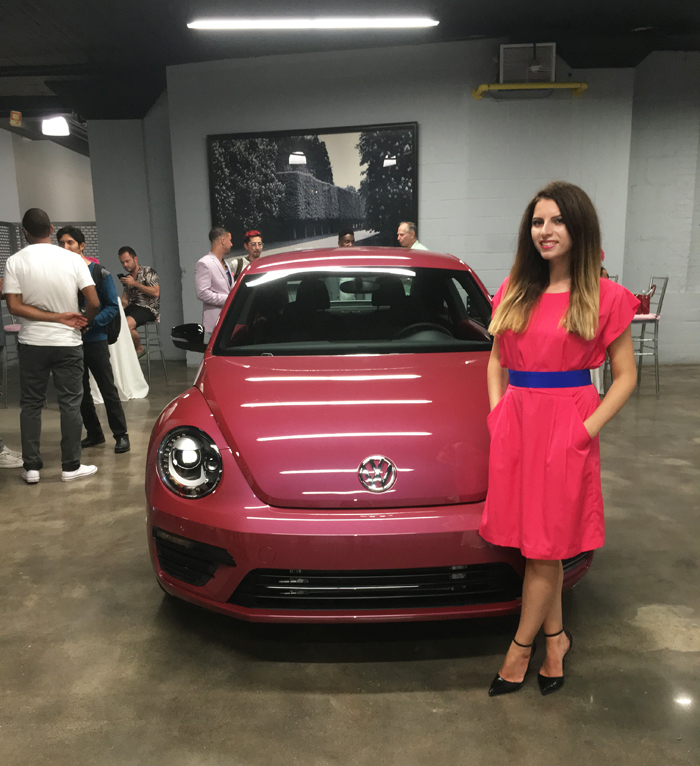 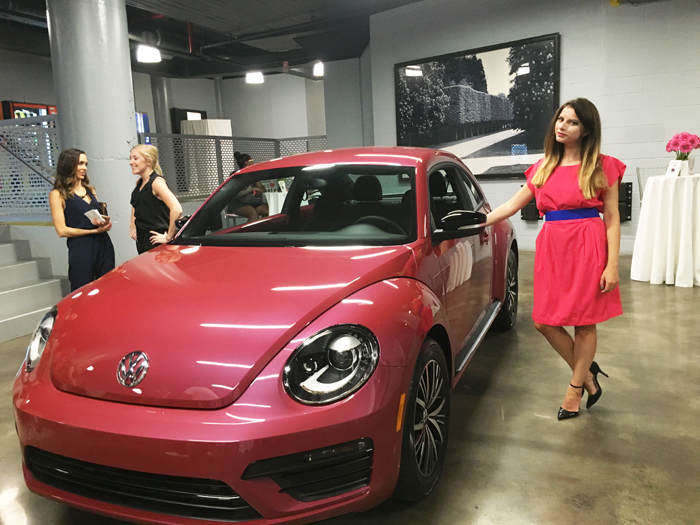 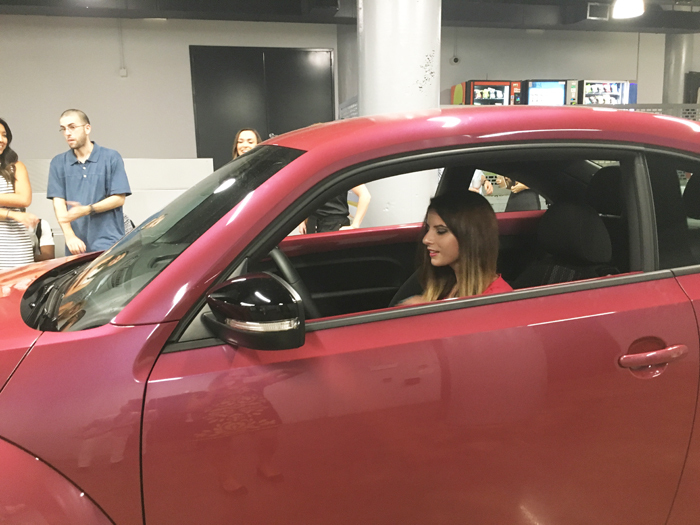 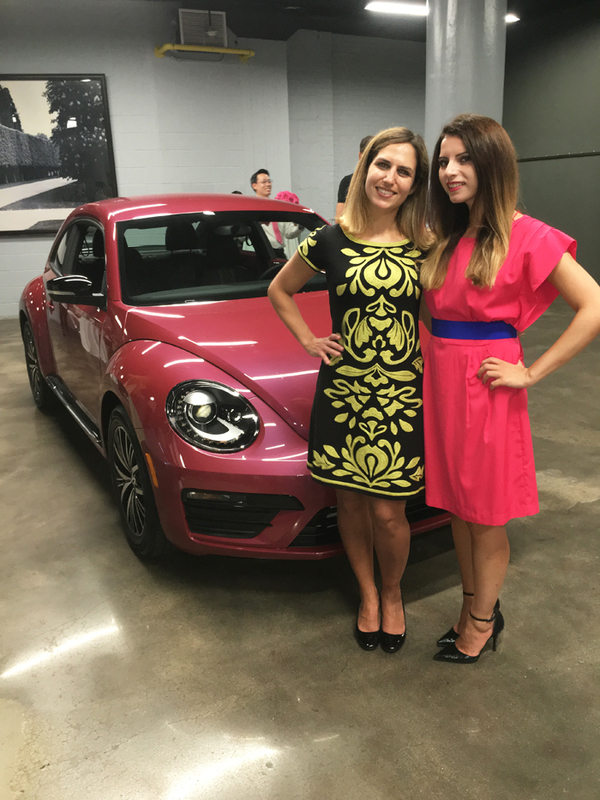 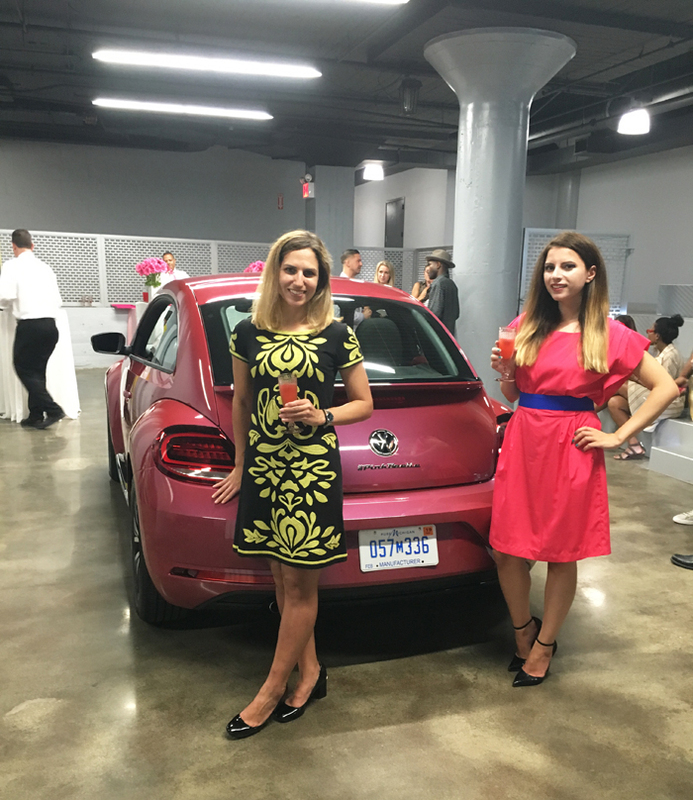 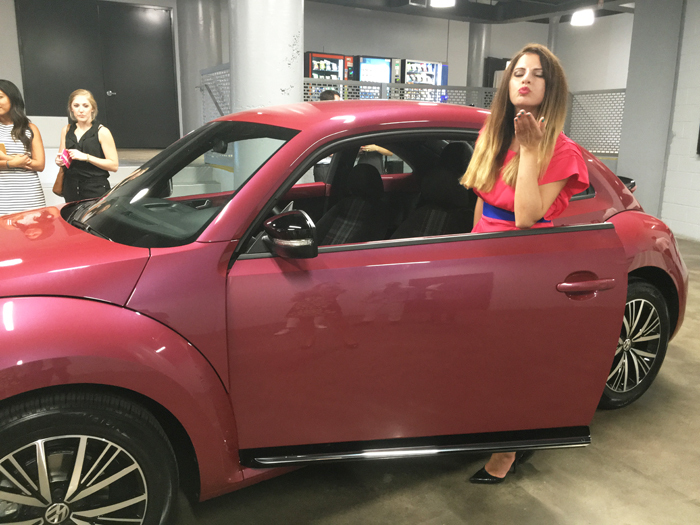 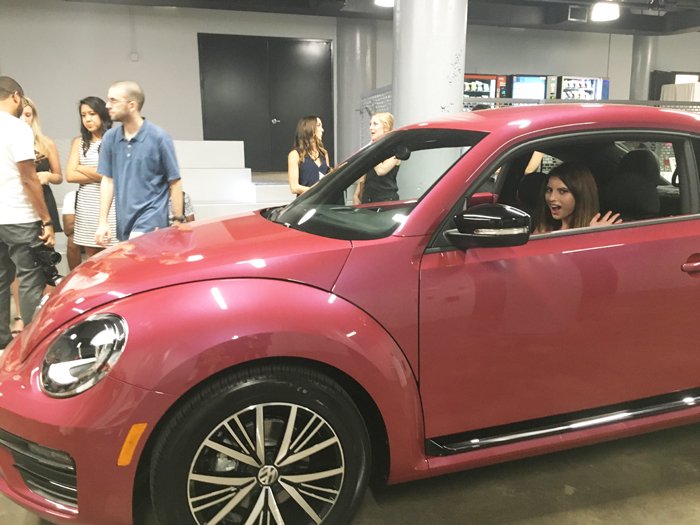 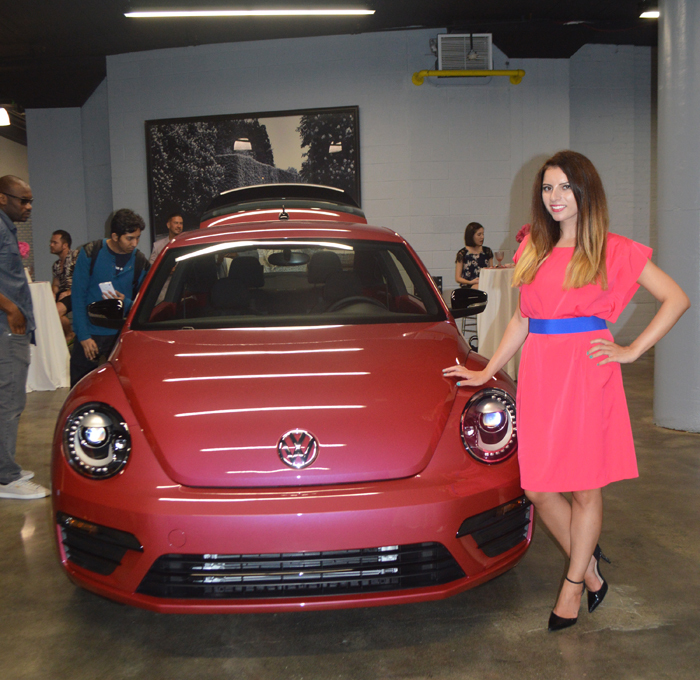 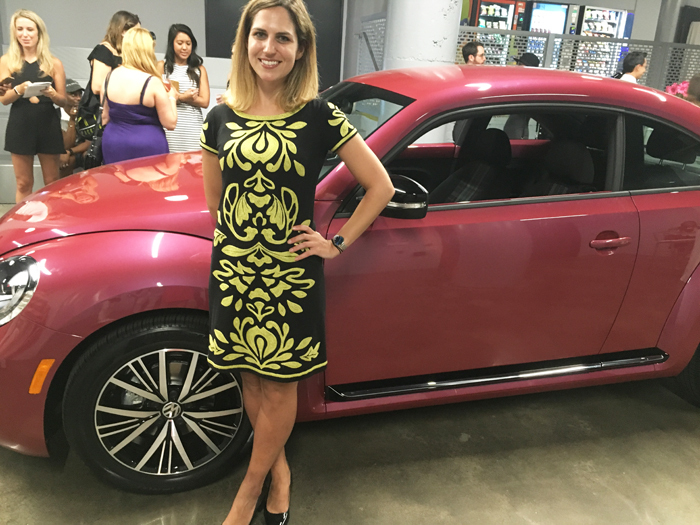 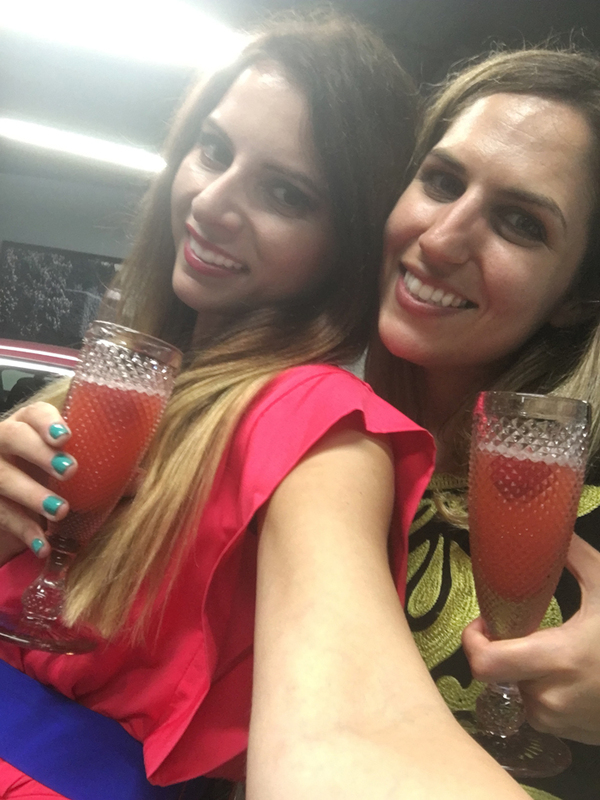 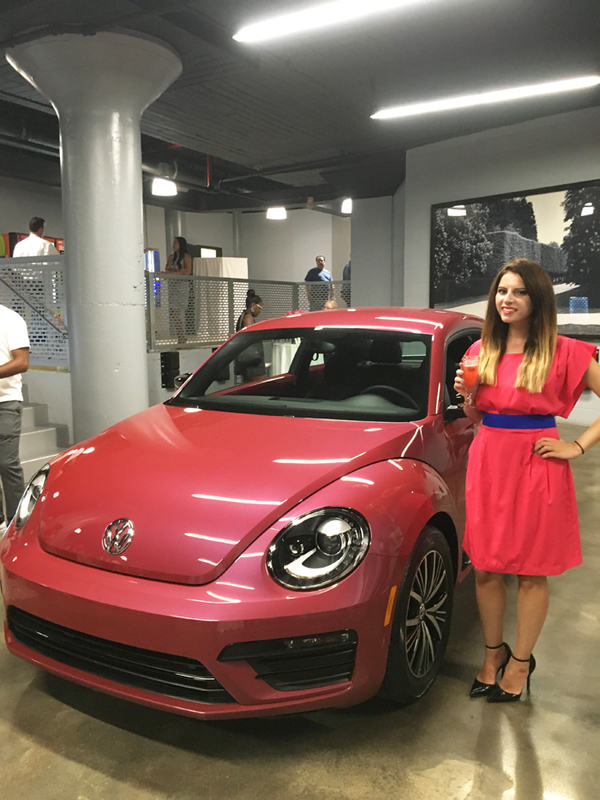 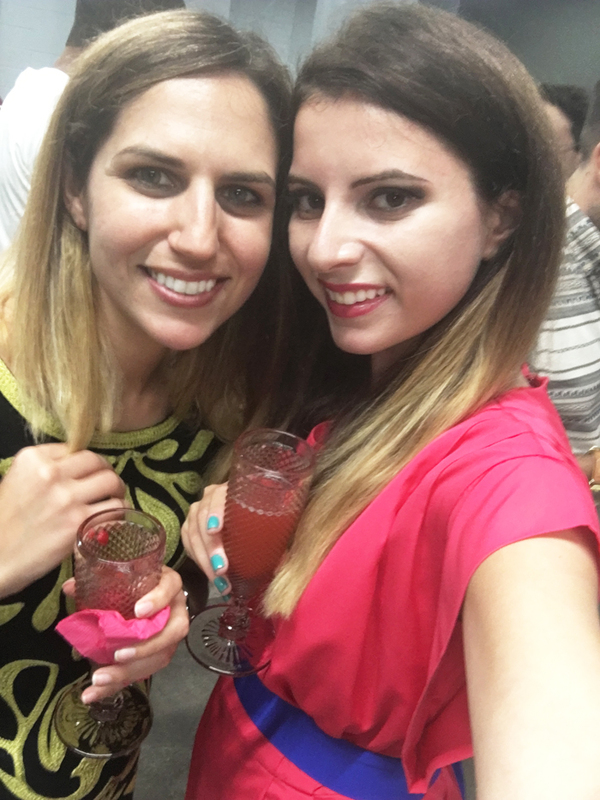 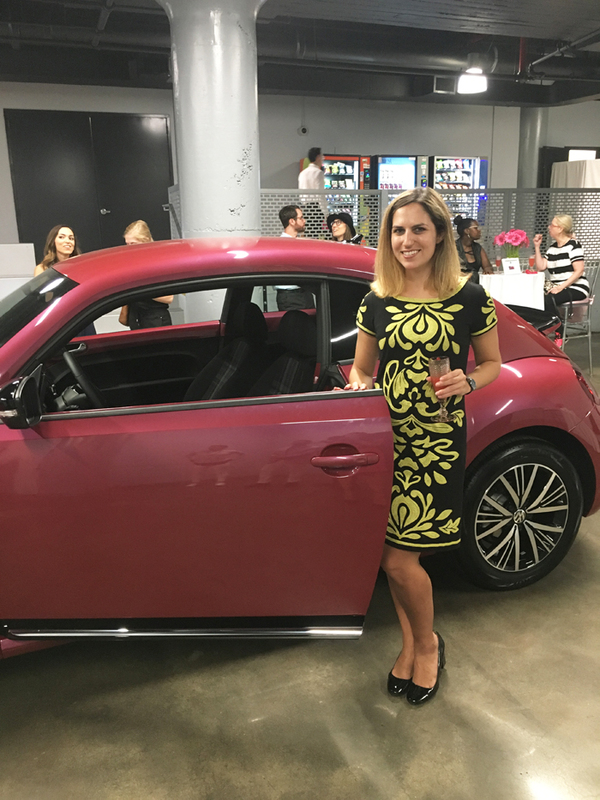 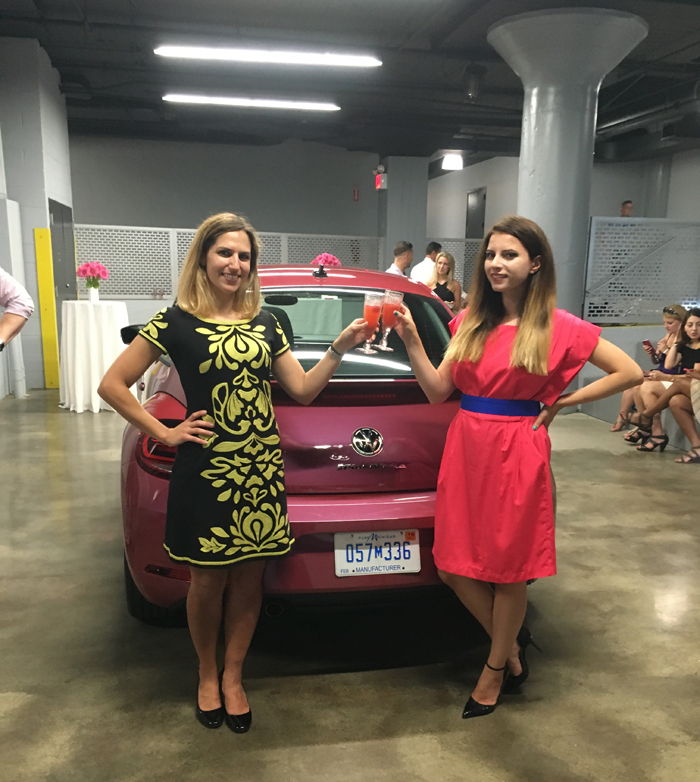 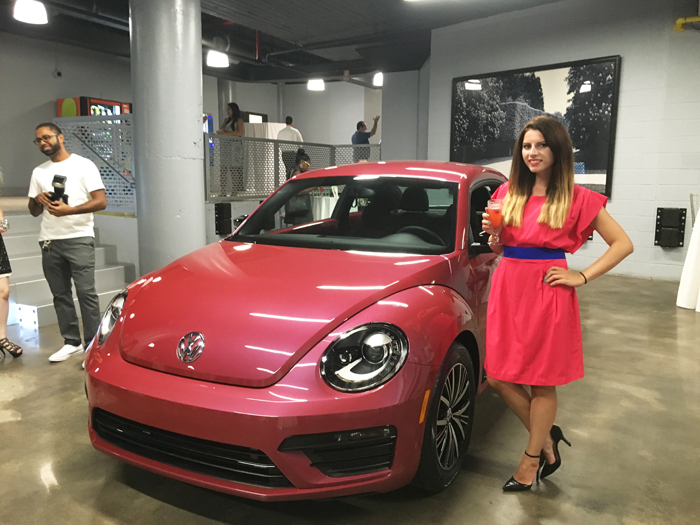 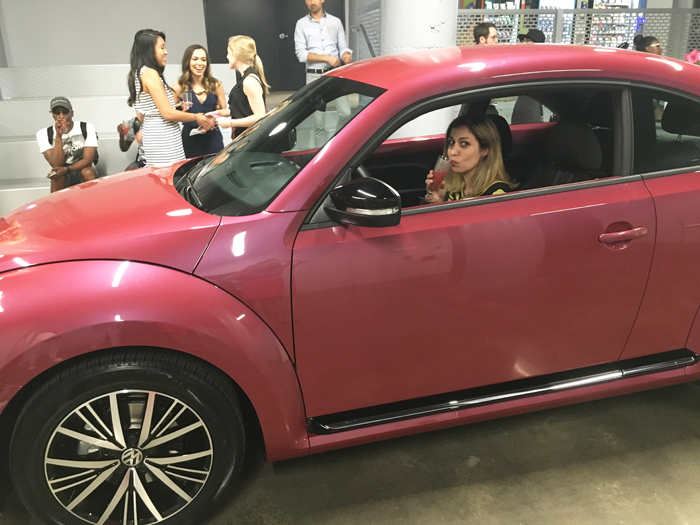 Volkswagen USA, in collaboration with Giuliana Rancic and The Pink Agenda held a special cocktail party to showcase the NEW limited-edition 2017 Volkswagen #PinkBeetle. 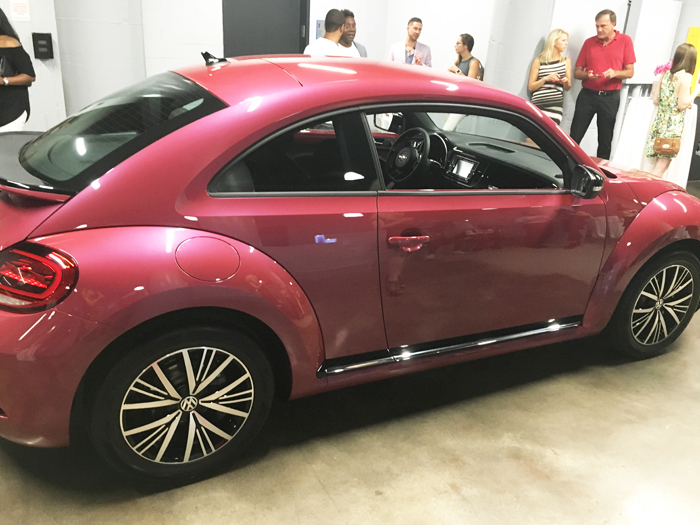 It's currently being auctioned off for charity at www.charitybuzz.com/vwpinkbeetle, where bidders will have the opportunity to become the first owner of the new model in the United States before it hits dealer showrooms in October. 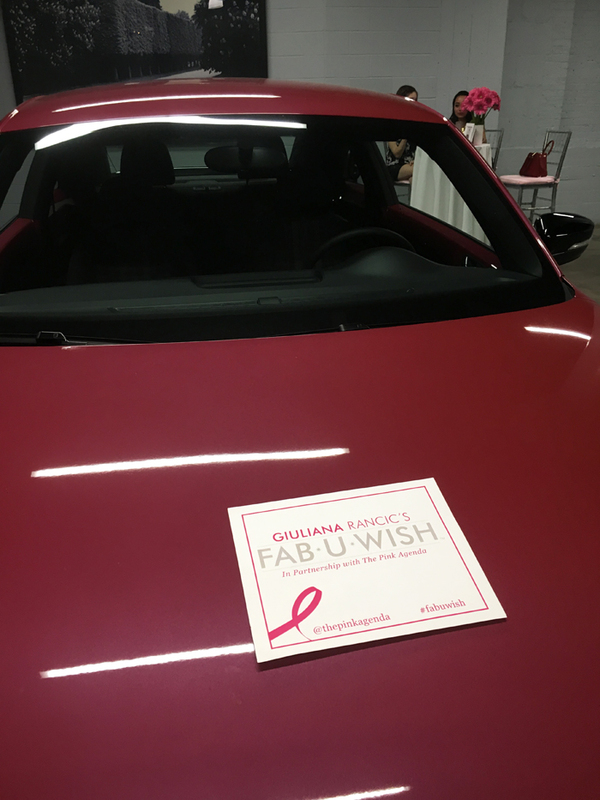 Proceeds from the winning bid will support Giuliana Rancic’s FAB-U-WISH and The Pink Agenda to raise money for breast cancer research and care, granting wishes to women undergoing breast cancer treatment, and to increase awareness of the disease among young professionals. 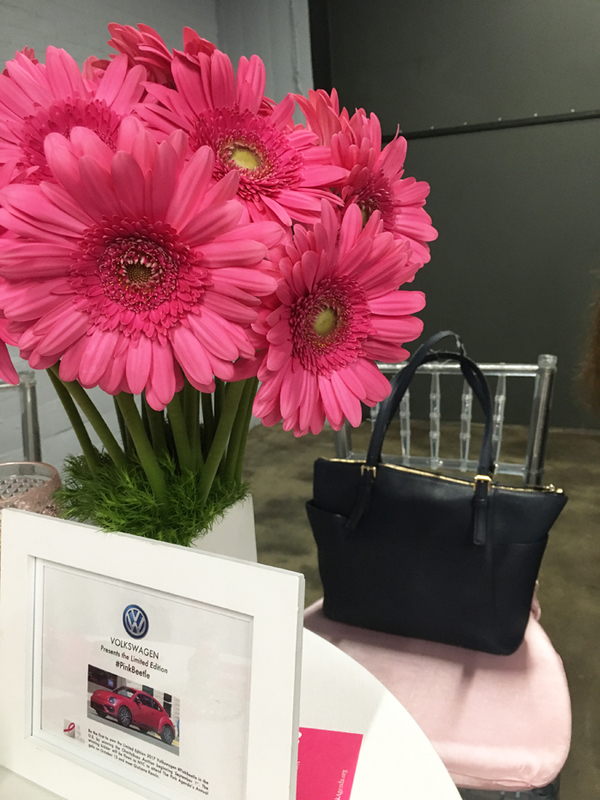 The winning bidder will also have the exclusive opportunity to fly to New York City to attend The Pink Agenda’s Annual Gala on October 13, 2016 and meet Giuliana Rancic. 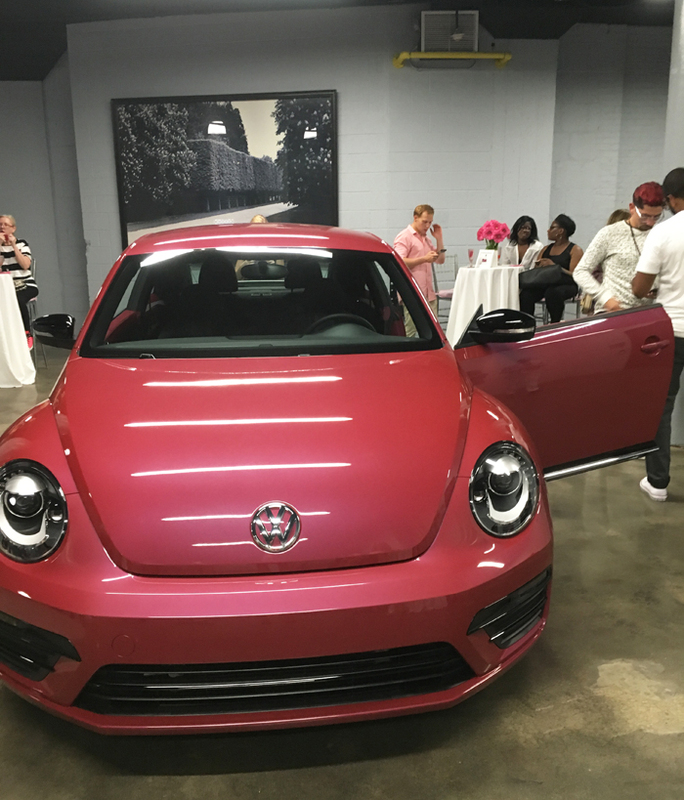 I had the immense pleasure of being invited by Volkswagen USA to cover this special evening, and as always it turned out to be quite a fun story. 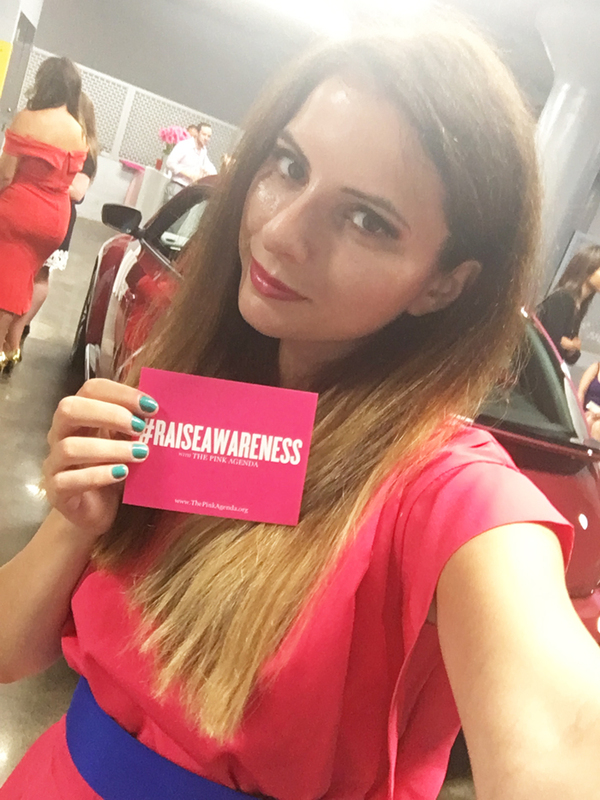 One of my favorite things about themed events is the opportunity to pick out the right outfit for the occasion, and ambience. 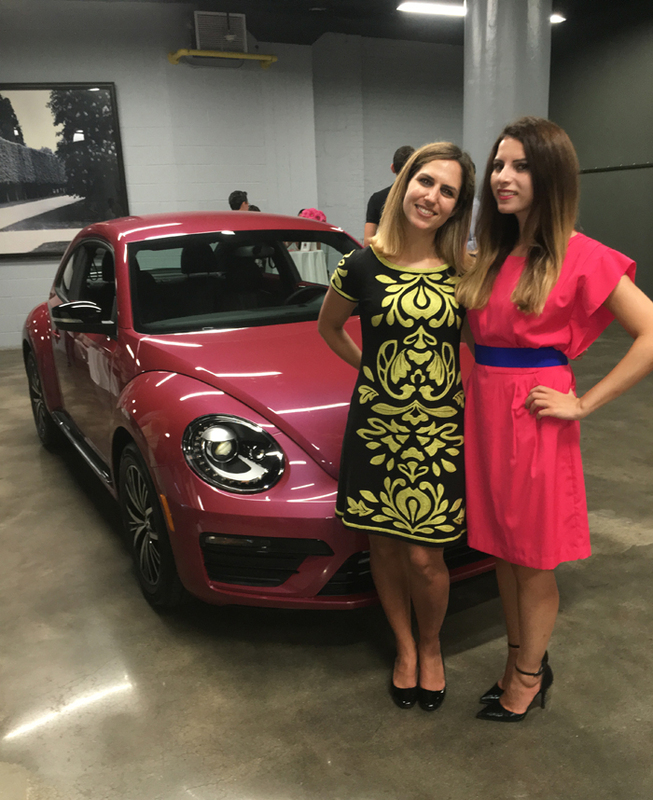 I’ve become very keen on selecting the right looks that fit within the context of all of the above, and this time was no exception when I chose a matching pink Eliza J dress to match the #PinkBeetle! 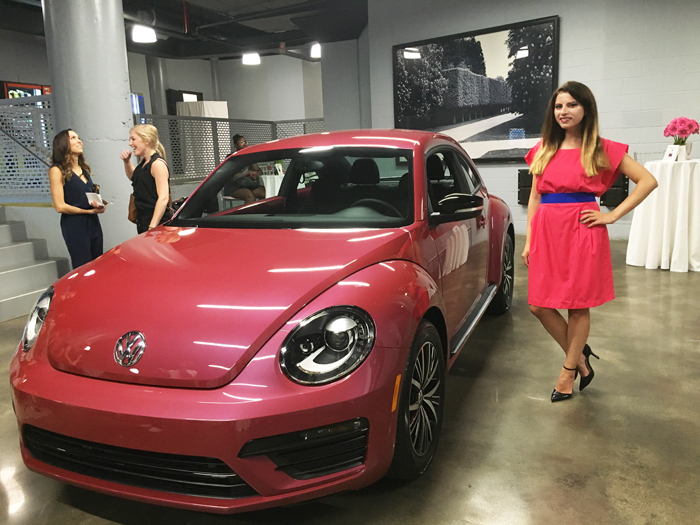 One of my favorite people to meet at the VW launch was photography about town, Daniel Vasquez. 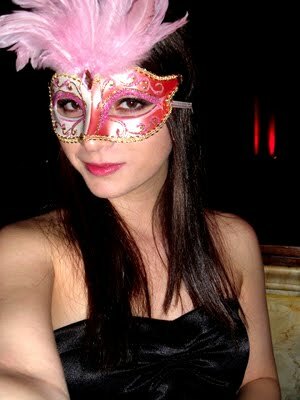 Thanks for shooting all the awesome photos of me, and Robyn! 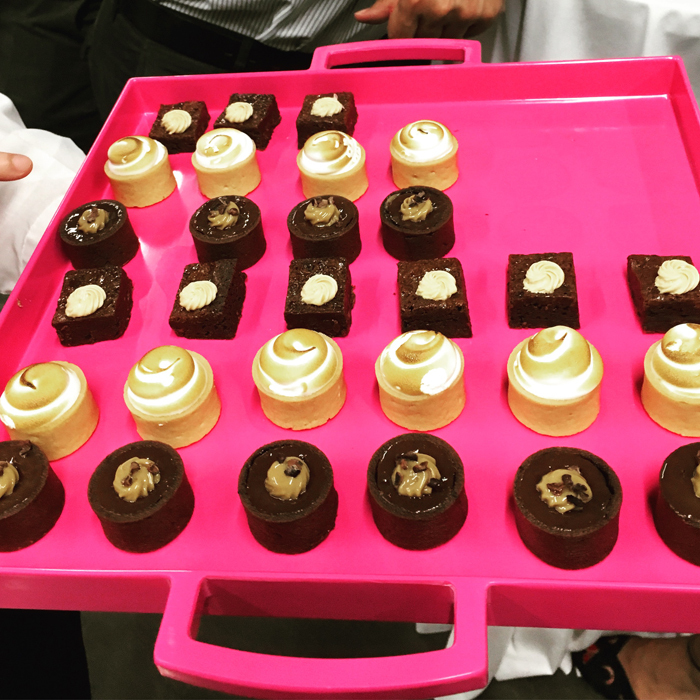 Next, we sampled the incredibly yummy selection of the above pastries. 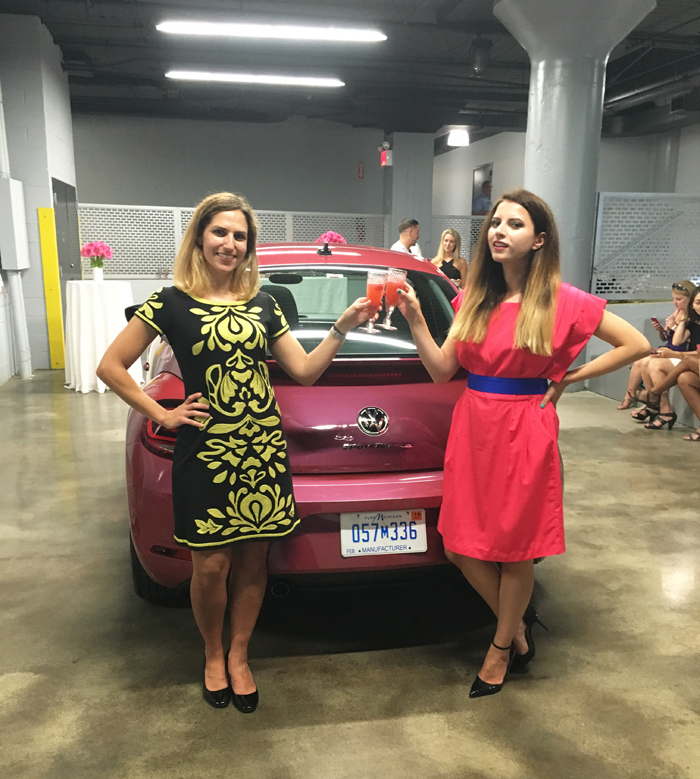 Probably not the best idea a week before Fashion Week, but I just couldn't resist! 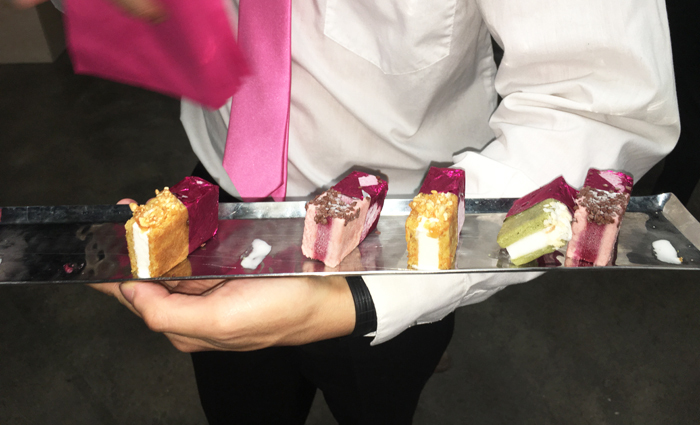 After pastries came the multi-colored ice cream. 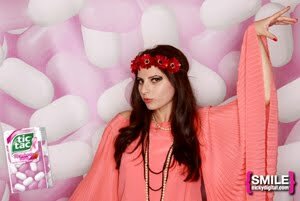 (insert hearts emoji here). 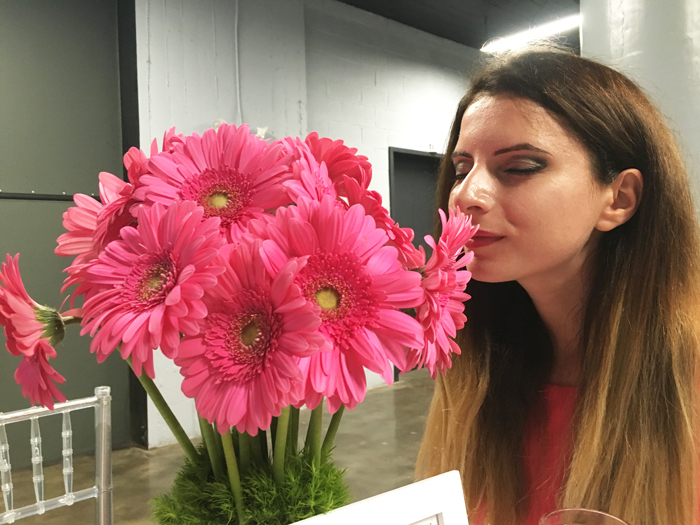 No matter where life takes me, I always like to stop and smell flowers, and really appreciate the moment. 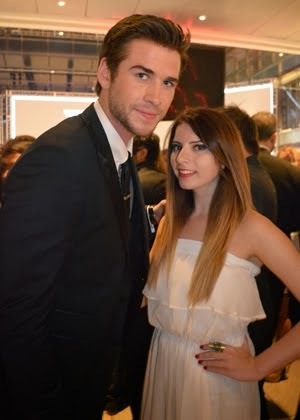 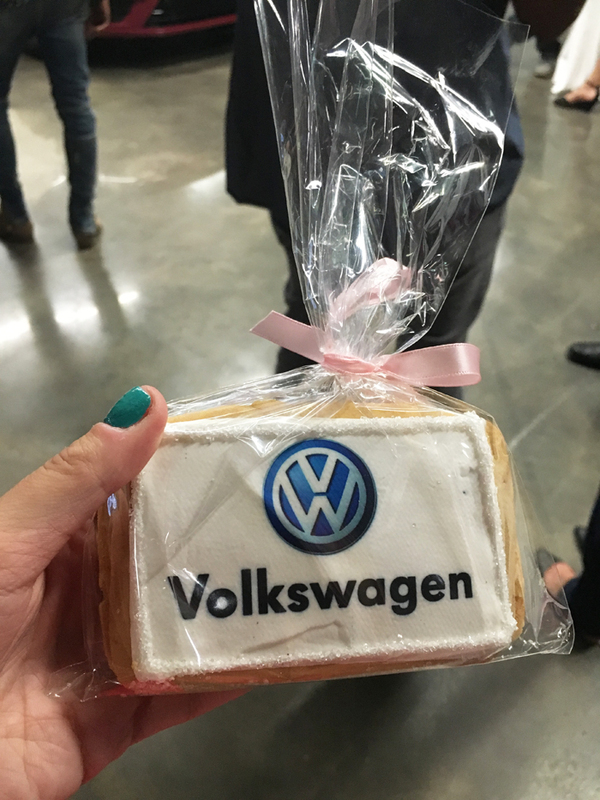 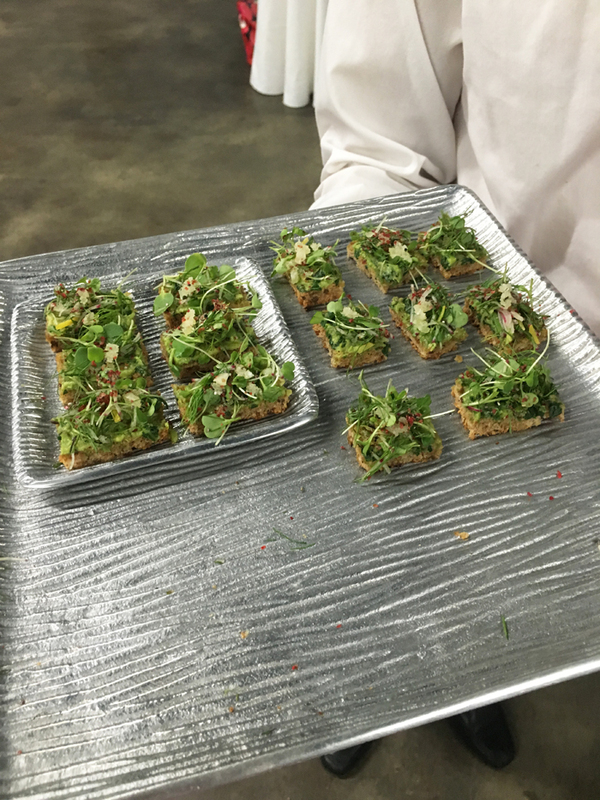 Thanks Volkswagen USA for such a lovely evening! 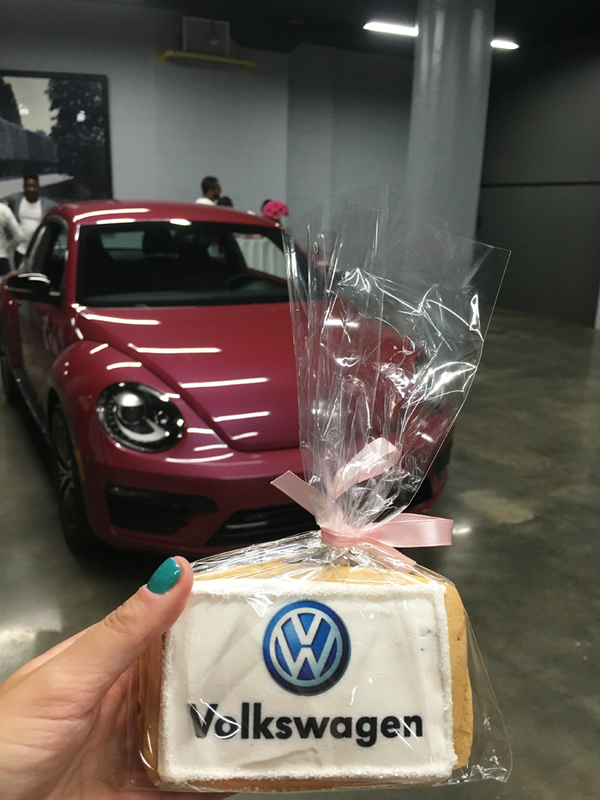 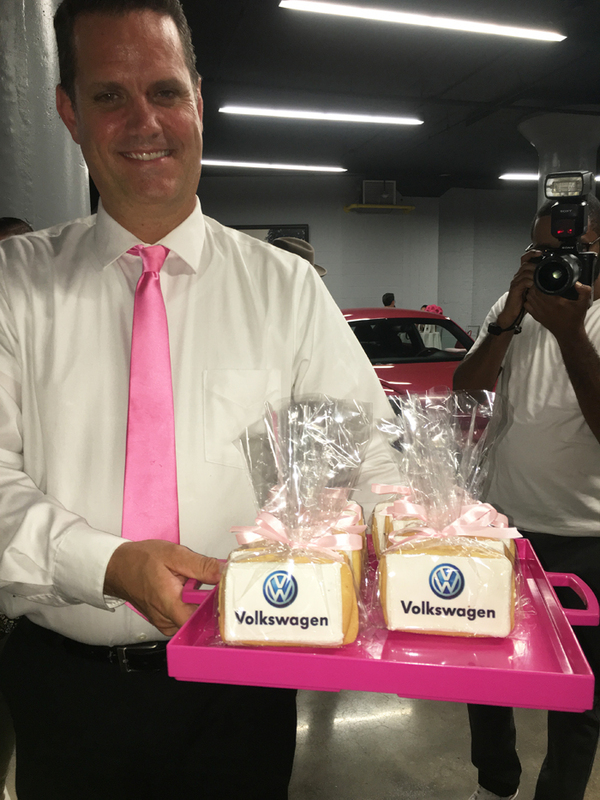 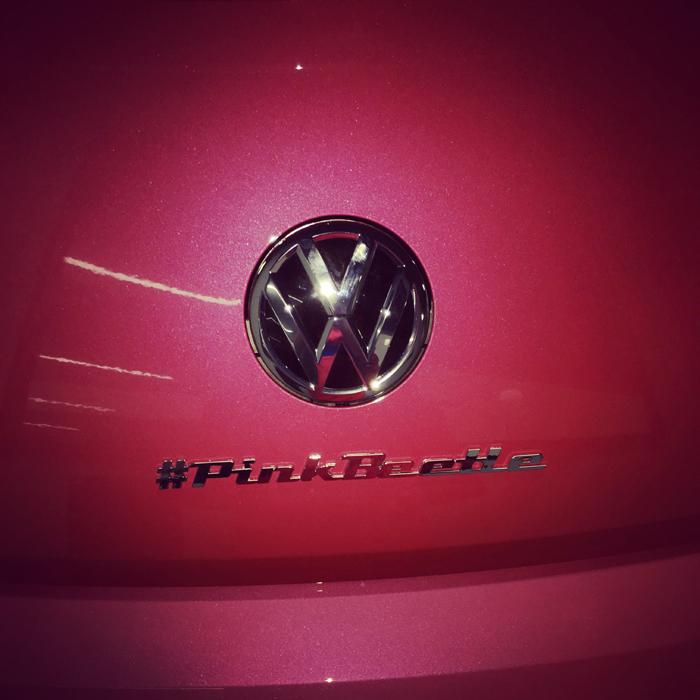 Head over to charitybuzz.com/vwpinkbeetle to bid on the new 2017 Volkswagen #PinkBeetle coupe from September 1, 2016 through September 22, 2016 at 11:59 p.m. EDT.